WELCOME TO OKANAGAN GEOTHERMAL LTD.
We specialize in custom homes and light commercial projects providing services for: plumbing, gas, conventional HVAC systems, geothermal systems and more. We provide custom mechanical designs to meet the individual needs of your home or building. Our certified technicians and design team have the experience to install your plumbing and HVAC system to meet your requirements. When you are building or renovating your home it’s important to hire an experienced and established company to ensure your HVAC system runs reliably and efficiently. Regardless of the initial quality of your HVAC system, all systems require a level of service to maintain equipment and ensure all components are in good working condition. Getting signed up on an annual service plan for your mechanical system can ensure your system is operating at its peak efficiency and save you in operating costs. Having a yearly service completed on your system can catch issues before they happen; ensure your system is operating correctly so it won’t leave you in a pinch when your heating or cooling is required. Contact us to get on a service plan to put your mind at ease that your system is functioning at its peak. We moved to the North Okanagan/Shuswap four years ago, after building a new dairy farm and a new home. In the building of both our farm and our home, we decided to utilize geothermal energy for heating and cooling. We were referred to Okanagan Geothermal Ltd. and were extremely pleased with both the service and installation, as well as with the product and results. Our farm is one of the largest in the region, and the geothermal units installed by Okanagan Geothermal have really done the job. On a personal level, we are very pleased with the heating and cooling of our home. It really made sense for us to use the resource available to us in geothermal energy, which definitely will save us a significant amount of money in the long run. We would highly recommend others to use geothermal energy, and if they are looking for a high-quality company that provides an excellent product and superior service…look no further than Okanagan Geothermal Ltd. They have far more training and experience than many of the other companies out there who say that they install geothermal systems. We have been extremely pleased with our geothermal system and are enjoying the considerable cost savings, cleanliness and low maintenance aspects of the system. The experience we had with installation and follow up was exceptional and we feel confident that if need be, any issues would be handled in the same great manner. The team is a pleasure to deal with. Thank you! We have a house that is 4800sq.ft. which is a storey and a half to heat. The geothermal that was installed is a five-tonne unit; it consists of 4 holes drilled at 250 feet each. Jim Croken and his team recommended this unit for the size of our house. With the geothermal unit, there is no outside air coming in as this was a problem for my wife with her allergies from the dust and smoke being drawn in from outside. This solved the problem. The temperature in the house is set at 22 degrees and is left and never changed day or night. The house is warm all the time with no cold blasts or hot blasts of heat which is a big difference with the geothermal unit. The cost for our energy is only $1500 per year with our savings being $1200 a year. This is all our energy consumption (ie: lights, heat, cooking and cooling). The geothermal unit for cooling in the summer time costs are next to nothing compared to the old unit with a gas furnace and air conditioning unit – what a difference! 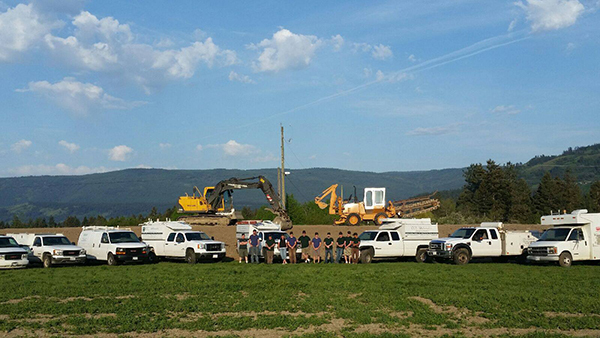 Jim’s company, Okanagan Geothermal Ltd., was fast, efficient and a great team to work with. We would recommend geothermal heating and cooling systems as it’s a very comfortable system. I could not be more pleased with my Geothermal Heating & Cooling system you installed in the fall 2009. You and your crew did a first-class job from start to finish! Even with the initial expense of $22,000, the two grants, Federal & Provincial, helped bring this down to approximately $16,500. The old Oil Furnace was costing approx. $1800 to $2000 a season, now my Hydro is about $500 – impressive! Other benefits are a safer (no flame) and friendlier to the environment way of heating. In addition, I am very happy with the Grundfos constant pressure water system you installed. A nice convenience to have and enjoy. Wow! We are sure enjoying our warm cozy house. The quality of heat is exceeding our expectations and the lack of smoke etc. in our home has been a definite plus for those of us with allergies. Thank you so much for your outstanding service and quality workmanship. We have been sharing the news of our new heating system with anyone who will listen. So far everyone has been so impressed. Word of mouth is always the best advertising they say. We are happy with our geothermal heating. It is evenly distributed, and we get lots of comments on our warm floors during the winter. We are also very happy with the quick and efficient response when adjustments need to be made. Thanks, Jim. I just want to pass on my thanks for rescuing my geothermal system. As you recall, I had a horizontal slinky system installed by another company for our new home in late 2005. The system was grossly inadequate for our home’s needs with some 3500 feet of piping ~350 feet of trenching—grossly inadequate for a 5-ton unit. This firm gave geothermal systems a very bad name among many of its customers in Revelstoke because of systems that were inadequate and repeatedly failing. Most of the time our home heating is supplemented with a wood heater. However, if we went away in the winter, the system went into high-pressure lockout and shut down completely so that the backup electric heat did not come on either. Accordingly, we always had to arrange a house sitter when we went away in winter so that the problems could be dealt with when they occurred. To our good fortune, we had contact with you in early 2010 and you inspected our system and made recommendations. You advised drilling of 4 holes of 250 feet depth each and conversion of the control system in the heat pump to that of a different manufacturer, as well as some modifications in the forced air plenums. We agreed to proceed and have been very happy with the result. The drilling crew and your people worked very efficiently to complete this rather major job in 5 days. Your son’s proficiency in operating the excavator in tight quarters was amazing. He lifted all the turf carefully and replaced it after backfilling the trenching with the result that very little seeding was needed to restore the grass in the yard. The heat pump and forced air system are significantly quieter than previously. The 2010-11 winter was the coldest in Revelstoke in many years but our home was well heated throughout the winter with no breakdowns of any sort. We were away for 3 times for a total of 4 weeks and the system worked perfectly throughout those time frames. 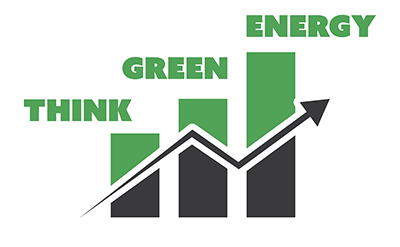 Apart from the good feeling attached to doing something “green” by using a ground sourced heat pump system, our total electricity costs are very low at $110 per month annualized. We use some propane for cooking only. The concept of ground sourced heating and cooling has always appealed to me. Needless to say, my initial experiences were discouraging but now that we have a system that is properly matched to our needs, my faith is restored and I recommend it highly. The costs for all sources of energy are going to increase dramatically in the next few years and will continue to rise. I am confident that my comparatively high costs of putting in the ground sourced system with its low energy consumption will prove very cost effective in the long term. Again, my thanks for what you have done for us.